bare Minerals Deep Cleansing Foam Wash (RRP £15-£18) : As many of you know I am already a bare Minerals fan, and religiously use the brands Mineral Veil Finishing Powder to blot away any shine, and to keep my foundation staying put. I’ve also tried out their concealers before and loved them for their staying power, so a face wash from the brand is completely new to me. I feel I’m going to love using this as from reading reviews, a lot of people mention it’s effectiveness at sloughing away dead skin cells, encouraging brighter and smoother skin. It’s gentle to use and foams up into a rich, cleansing lather. So far, so good, and the full size product ranges from £15-£18 depending where you would buy it from! 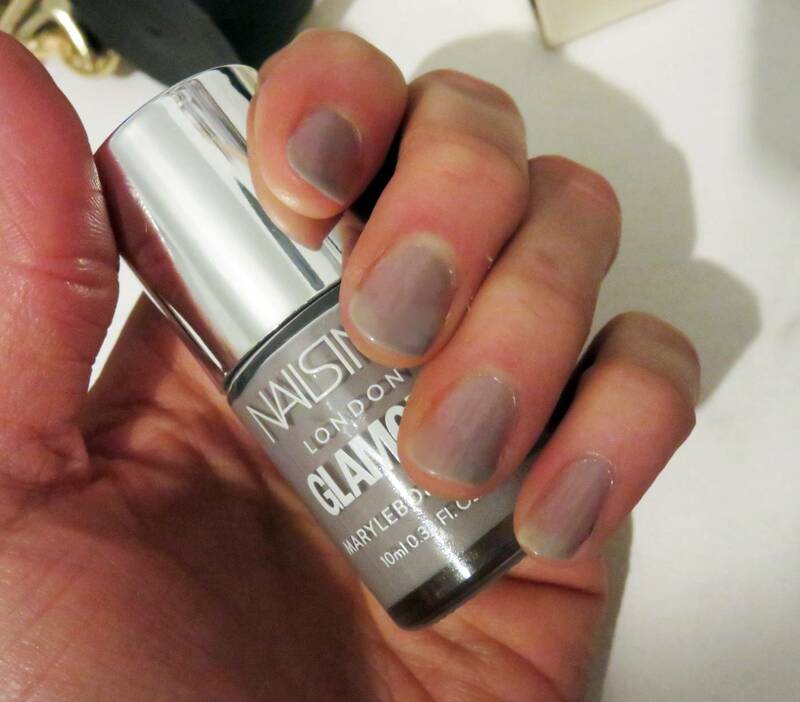 Nails Inc Marylebone Mews Nail Polish (£5.99): This is a beautiful soft mauve shade which after just one coat (how I am wearing it on the photo) glides on to provide a subtle touch of sheer colour. 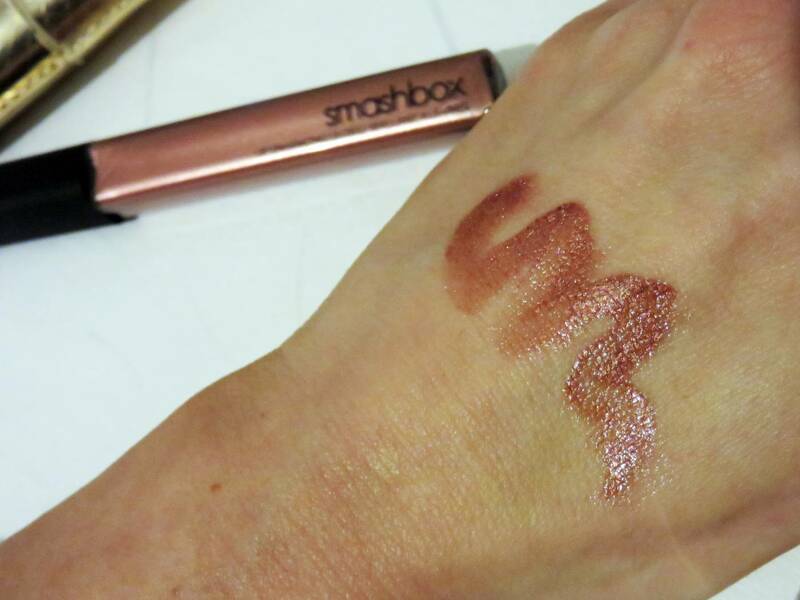 It’s glossy without being too shiny, and is a stunning colour for daytime wear. A second coat would double up this colour, making it have a more obvious lilac-grey tone. Very pretty! 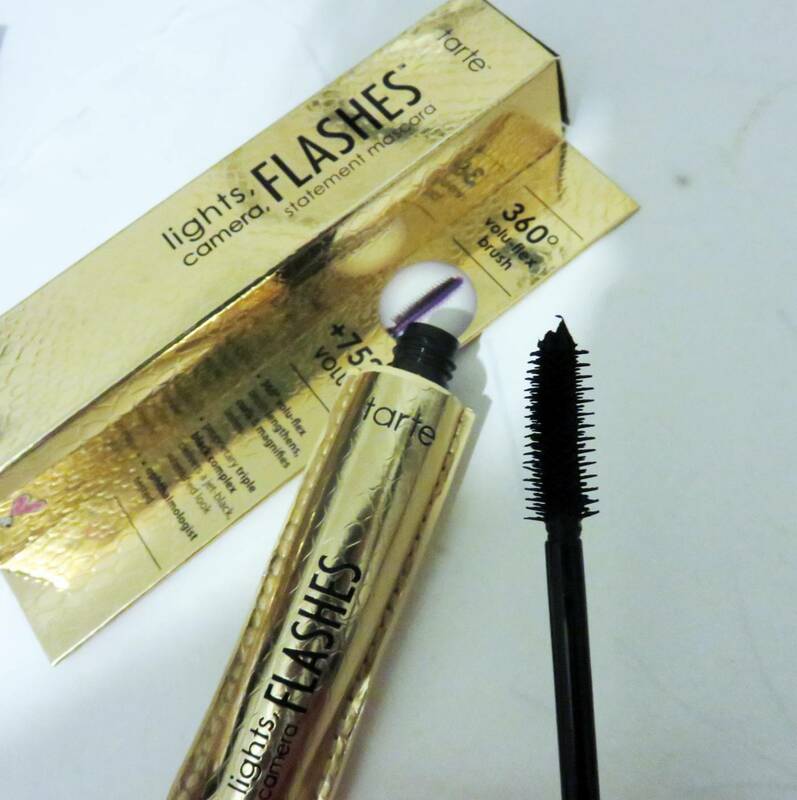 Tarte Lights Camera Flashes Mascara and Eyelash Curlers (Mascara RRP: £15.99): I have wanted to try out Tarte makeup for so long, so I was over the moon to open up the box and discover this shiny gold mascara, called Lights, Camera, Flashes. It’s a 4 in 1 mascara which aims to provide four lash benefits – lengthening, curling, volumising and conditioning. 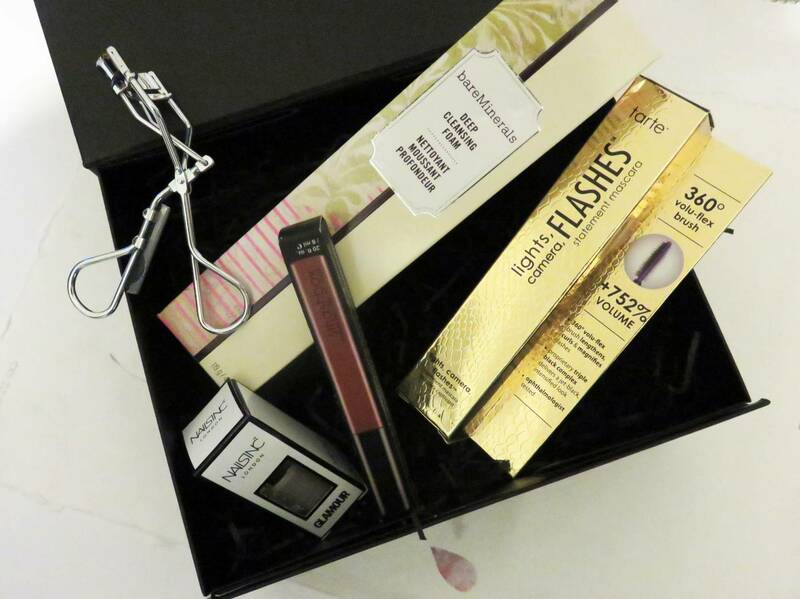 I noticed it retails at £15.99 on Smartzprice, however I found it coming in at £21.99 at QVC – so what you are getting in this beauty box is a real bargain! I would purchase the beauty box simply for this mascara. The packaging is ultra glam and flashy; the post luxe looking item in my cosmetic bag at present. 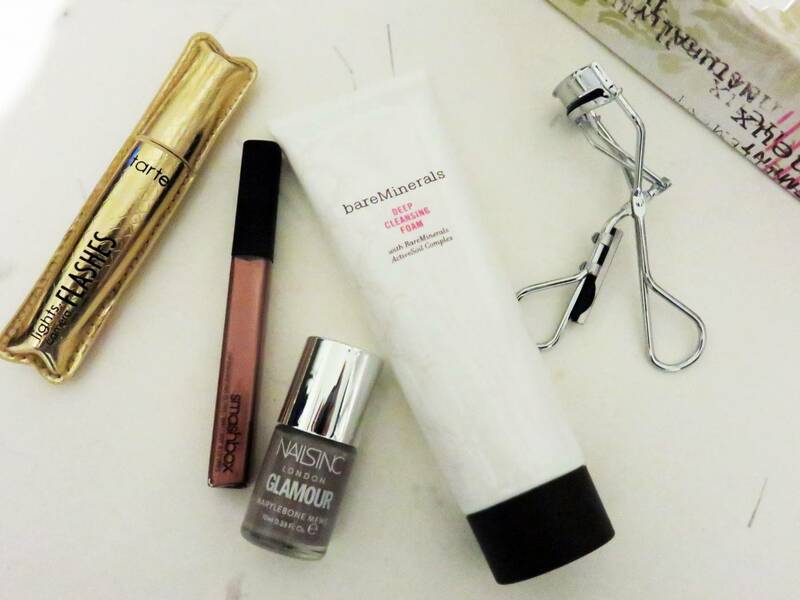 I’ve tried this out with just one coat on the photographs below, in which I was overly surprised at how lengthened my lashes looked after just one ‘swipe’. Love this! 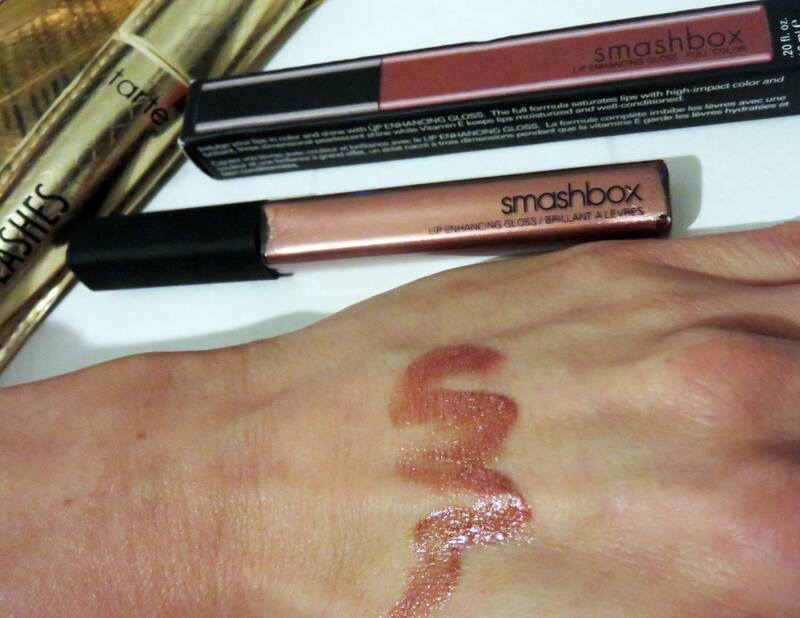 Smashbox Lip Enhanching Gloss in Shade 35mm: WOW- this shade is super shiny and glossy with the most brilliant metallic finish I have ever seen from a lipgloss. I have to admit I don’t usually wear lipgloss myself as I am a true lipstick lover, but this is a must for the gloss wearers out there. 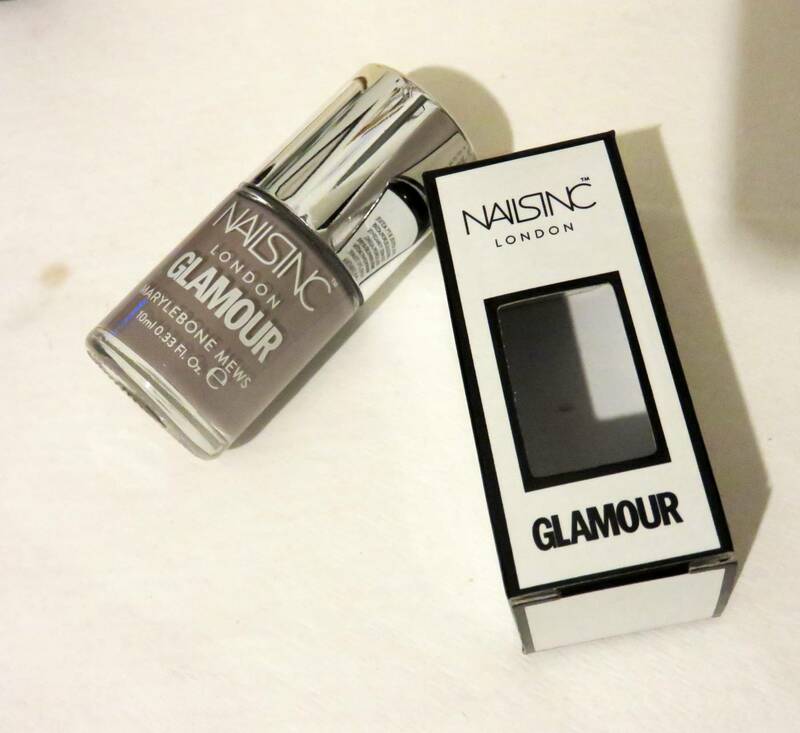 If you ant to impress your girlies with a show-stopping make-up product, then this is one for the list. Overly impressed with this modern bronzed colour. 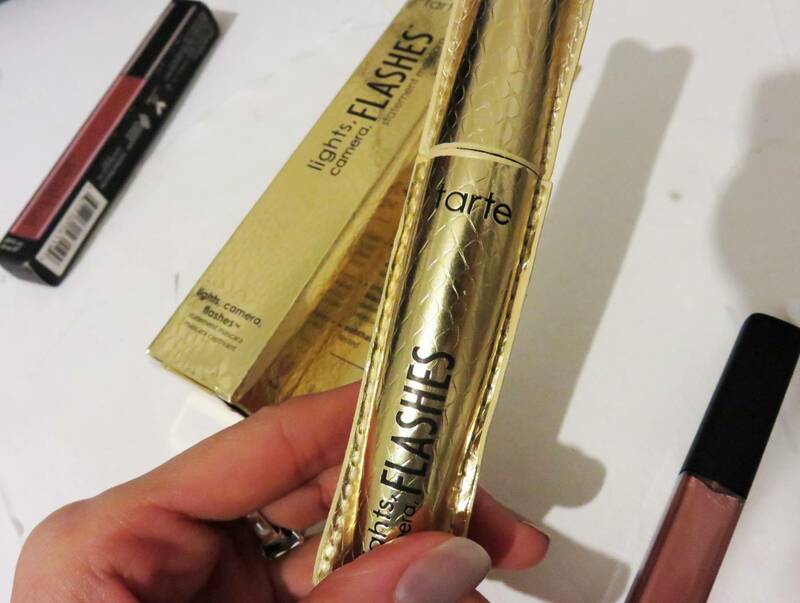 Excuse the blurry images above – quick iPhone snap style selfie before rushing out of the door this morning to show you how the Tarte mascara and L’oreal lipstick look. 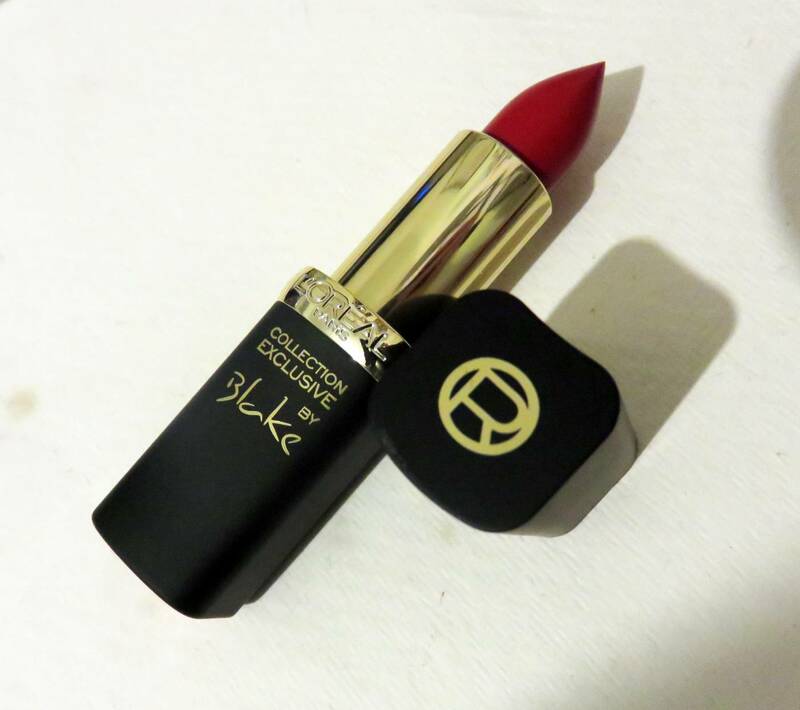 Honestly, the lipstick doesn’t budge for hours, it is truly amazing. 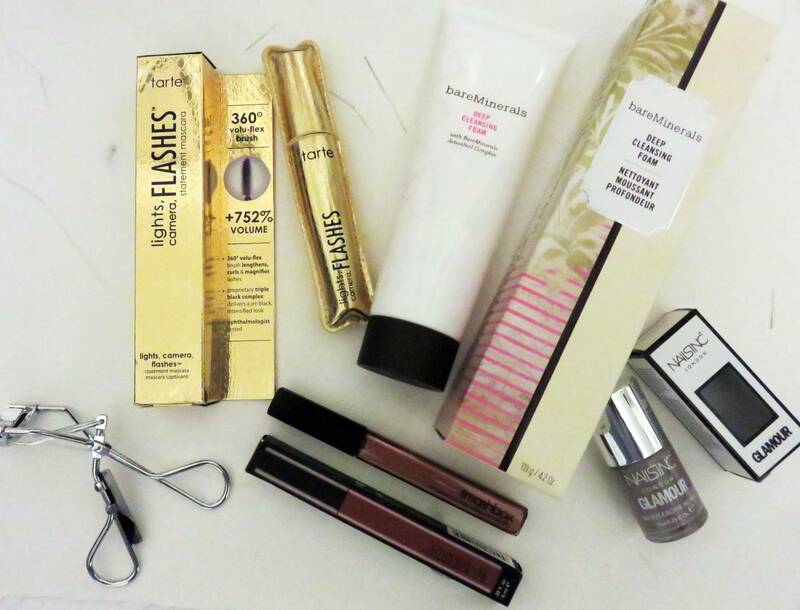 So there you go, a round-up of the December Beauty Box. 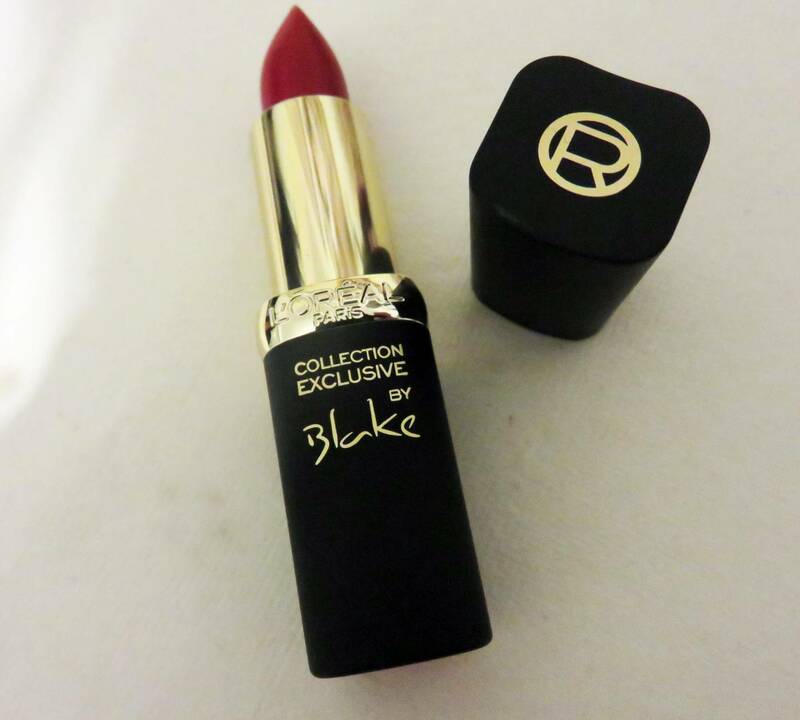 This box in particular has got me falling in love with bright red lipsticks all over again for December! What’s your favourite beauty product so far this month?